A couple of things surprised me in the just-released AP/USA Travel Department of Transportation (DOT) report that 122 dogs died on airplanes since May 2005. I was surprised that DOT only required reporting the death of dogs in transport since 2005. What took them so long? Did dog deaths not matter much? And candidly I was surprised by some of the callous comments made on an MSNBC web page by readers. What’s the point? That dogs and babies are more alike than not, or that dogs are more important than babies? In this case, the airlines are not the villains. Most of the dogs that died were short-muzzled breeds. 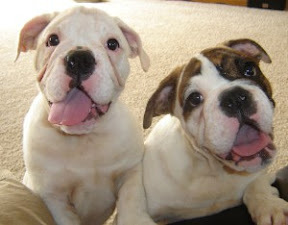 English Bulldogs accounted for the highest number of deaths, 25; Pugs accounted for 11 of the deaths, with Golden Retrievers and Labradors making up the rest. Adam Goldfarb who directs the Humane Society’s Pet Risk program, told the Atlantic Journal-Constitution that Bulldogs and similar dogs top the list because their short snouts and reduced nasal areas, typical of the breed, reduce the dog’s ability to cool itself, through breathing. Add to the heat, the stress, noise and unfamiliar surroundings, and pet lovers have to ask is it worth it to transport a dog, any dog, by plane. Flying is stressful enough for people. All the pets that died were being transported in the cargo hold of planes, leading some airlines, notably Delta, to refuse to fly short-snouted breeds when the temperatures reach 75 degrees…85 degrees for all other kinds of dogs, which already seems extreme. Sonny Seller, owner of the University of Georgia mascot, Uga, an English Bulldog, has his pet undergo surgery before the dog flies. Apparently there’s a procedure that clips the muscles and tissues of the nasal passage allowing the dog to breathe more easily. Seller told an Atlantic Journal Travel reporter that they’ve lost seven Bulldogs already, but regarding Uga’s air travel, Seller says “it’s just business with us.” Uga, he says, flies in the cabin or air conditioned hold of the university’s private plane. The DOT also reports 88 lost or injured dogs from May 2005 to this last May. Is it just the breed or is flying dogs irresponsible?